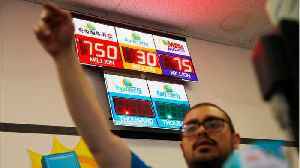 Excitement generated by the $768 million Powerball was evident in New Berlin, where the winning ticket was sold. 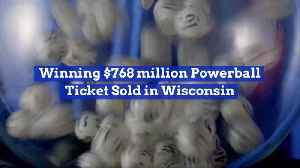 Lottery officials say a single ticket purchased in Wisconsin has won the $768.4 million Powerball jackpot. 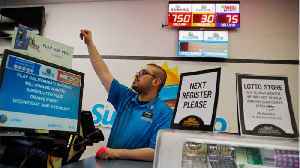 It’s the third-largest in U.S. lottery history. 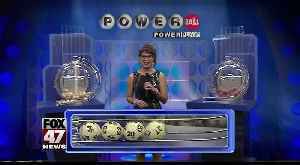 The ticket was sold in New Berlin, a city of..
▶ Videos for "Powerball Jackpot"
The person who won the Powerball jackpot in New Berlin has yet to step up and claim their prize. 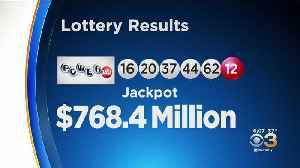 The winning $768 million Powerball ticket was sold at the Speedway on Beloit Road in New Berlin, according to Wisconsin Lottery officials. Someone in Wisconsin is three-quarters of a billion dollars richer after winning the jackpot in Wednesday's Powerball drawing, according to the Wisconsin Lottery. It’s opening day at Miller Park. 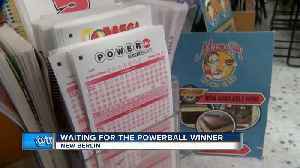 The winning Powerball ticket from Wednesday night’s drawing was sold in New Berlin. 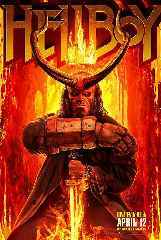 That leads off today's Morning Sprint. 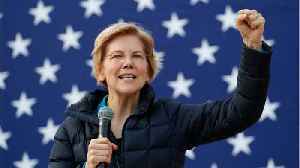 Someone is waking up hundreds of millions of dollars richer in Wisconsin. 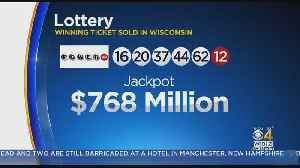 By: TMJ4, AP items..image.alt A single ticket sold in NEW BERLIN Wisconsin matched all six numbers in the Powerball drawing to win the third-largest jackpot in U.S. lottery history. 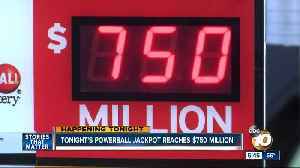 The Powerball jackpot is up to $750 million and 13 Action News had to join at Arizona's Last Stop. 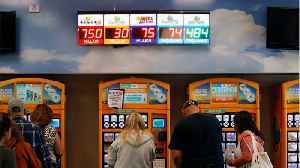 It's the fourth-largest jackpot in U.S. history. 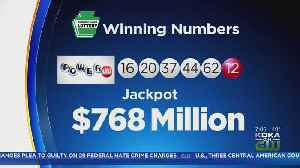 The winning numbers for the $768 million Powerball jackpot have been revealed. The cash option is $465.5 million. It's the fourth largest Powerball jackpot in U.S. history. 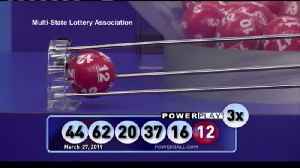 Lottery officials say the Powerball jackpot for Wednesday's drawing will be an estimated $750 million , which would be the fourth-largest grand lottery prize in U.S. history. 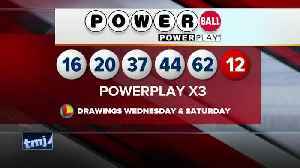 If you had dreams of how you spend the Powerball jackpot if you hit it big in Wednesday nights drawing, you can keep dreaming. 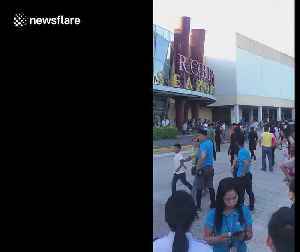 Here's the latest for Thursday March 28th: UK Parliament rejects multiple Brexit plans; More Rockland County, NY children getting measles shots; Woman sentenced for pushing friend of bridge; 1 winning..
A lucky ticket holder could be $768 million richer on Wednesday night after the drawing of the third largest U.S. Powerball jackpot in the lottery's history, officials said. 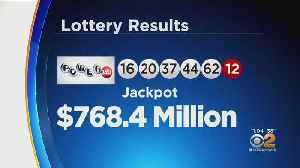 The winning combination for the $768 million prize is 16, 20, 37, 44, 62 and the Powerball is 12. 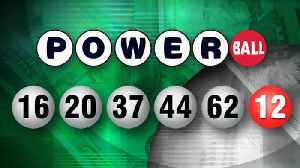 The winning numbers for Wednesday night’s Powerball jackpot are 16-20-37-44-62 and the Powerball is 12. 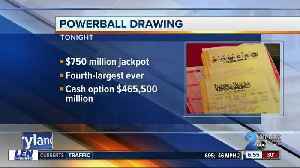 The Latest on the Powerball jackpot (all times local): 10:05 p.m. The Powerball jackpot has grown since December, when a ticket sold in New York won an estimated $298.3 million. Scores of Phoenix-area residents lined up to take a shot at winning the latest Powerball lottery jackpot ahead of Wednesday night's drawing. 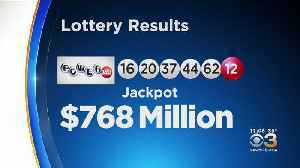 NEW BERLIN, Wis. (AP) — The Latest on the $768 million Powerball winning ticket sold in Wisconsin (all times local): 8:40 a.m. 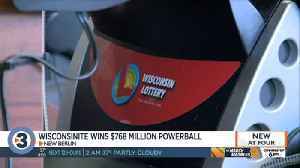 The Wisconsin winner of a $768 million Powerball jackpot won’t be able.. It's been three months since a Powerball player took home the game's multimillion-dollar jackpot. 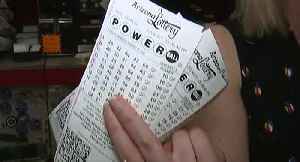 Wednesday night could see another lucky winner, with an estimated $750 million up for grabs. It's the..
From the Powerball jackpot to measles in New York, here's Wednesday's top news. 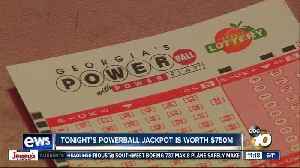 After months without a winner, lottery players have another shot at the Powerball jackpot that has spiraled upwards to a massive $750 million. Pool party-pooper: Is it rude to refuse the office Powerball pool? There's a $750 Powerball jackpot up for grabs and betting on March Madness abounds. But not everyone wants in on the office pool. 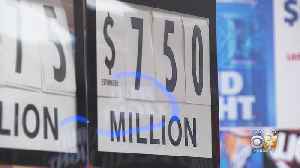 Should you take your $750 million Powerball jackpot as a lump sum or annual payments? 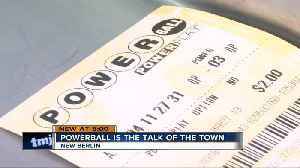 A Powerball winner has two options: Take a lump sum or 30 annual payments. 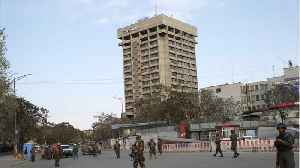 Which one is better moneywise? 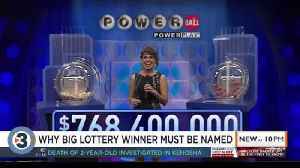 DES MOINES, Iowa (AP) — After months without a winner, lottery players will have another shot at a Powerball jackpot that has soared to a massive $750 million. The Powerball drawing will be Wednesday.. 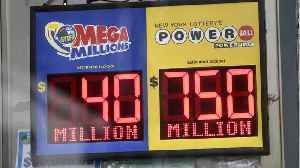 The Powerball drawing on Wednesday will be for $750 million: That's the fourth largest U.S. lottery jackpot in history. 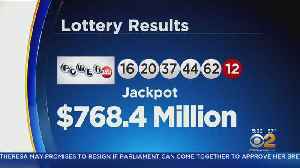 Workplace lottery pools may increase your odds of winning Wednesday's $750 million Powerball jackpot, but is it wise? Here's what an expert says. 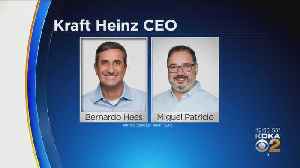 This is now the fourth largest U.S. lottery prize in history and the third-largest Powerball jackpot. 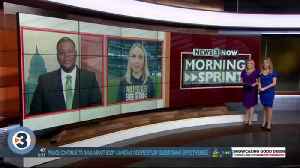 Barbara Bush, Trump talks to Hannity days after Mueller's report, the $750M Powerball drawing and more things to start your Wednesday morning. Winning the lottery could fulfill all your dreams, or you could wind up blowing the money down the road and ruining your friendships. With no winners after Saturday's drawing, Wednesday's jackpot will now reach $750 million, the fourth-largest lottery grand prize in U.S. history. The Powerball jackpot continues to grow after no one won big in Saturday night's drawing, though two $1 million winning tickets were sold in the New York area.